When the search for a new piano gets serious, it is helpful to know precisely what it is you are looking to find. Whether or not you have previously considered it, pianos come in a wide range of styles with enough variety to suit most any lifestyle, space or musical need. You can find the best pianos for sale melbourne simply by asking yourself a few questions and taking some time to nail down the product that would best suit your need. Here are some question to help you get started. How much space do I have available for my piano? No room is really too small for a piano. You just have to know what kind of piano to fit in the room. If you have a large space, you are virtually limitless in which style you can choose. For smaller spaces, an upright piano make work well, particularly if your piano will share a space with other large pieces of furniture. An upright piano's 90-degree corners make it a good choice if you need an instrument that is more streamlined for easy placement in a corner of the room. Digital pianos take up much less space than traditional pianos or even upright pianos. Whatever you choose, remember to add half a meter to your overall length measurement to allow for the piano bench. Do I have any sound restrictions? If you happen to live in a Melbourne-area flat or close living quarters, you may have to consider how your neighbours will respond to you having a piano in the house. You may know them well enough to be able to say, "No, they would not mind me having a piano," or "The woman in 302 is going to be a problem." If one of your neighbours may be disturbed by sounds from an acoustic piano, you may consider getting a digital piano. Most digital pianos will accommodate headphones. What type of room ambiance am I looking to create with my piano? Admit it. Sometimes a piano is less about musical prowess and more about room ambiance. For an understated functionality, digital pianos can prove to be a fantastic choice. 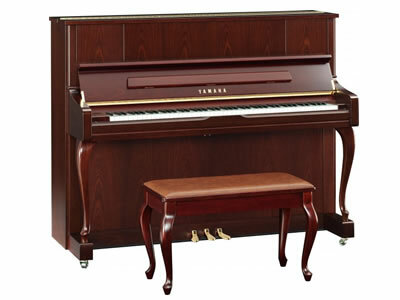 Upright pianos offer a bit of design flexibility and tend to be far less expensive than traditional pianos. Traditional pianos - baby grand, mid-sized, large and concert - offer piano enthusiasts the unmistakable grandeur of their presence. They add beauty, majesty and elegance to just about any space. Find pianos for sale in Melbourne that are going to anchor your space. What is my price range for a new piano? Perhaps one of the most important criteria in determining the type of piano you will buy is the price. Pianos for sale in Melbourne are going to vary greatly in price. Don't be discouraged if there is a divide between the piano you want and the one you can afford. It happens. You can always upgrade your choice at a later time. Ask yourself the questions listed above and give the best assessment. With a bit of reading and by investing a few hours of your time browsing our online catalogue of pianos for sale in Melbourne, you can get a pretty good idea of what your specific needs are. Marry those needs to your wants and your budget and you will make the best choice on which piano to buy.